It is truly worth knowing that when you stay in Hua Hin, you are surrounded by even more beautiful places than meets the eye. It may be hard to believe, but sightseeing in Hua Hin offers more than a lovely beach and placed waves. The most tranquil spot on the planet also hides some real gems that are a delight to visit. A good thing, of course, is that they are really not a very long way from your private villa at V Villas Hua Hin and provide the perfect little getaway for a half day or so. An excellent example of this and an exceedingly pleasant jaunt from your villa happens to be the summer palace, the Marukataiyawan Palace in Hua Hin. 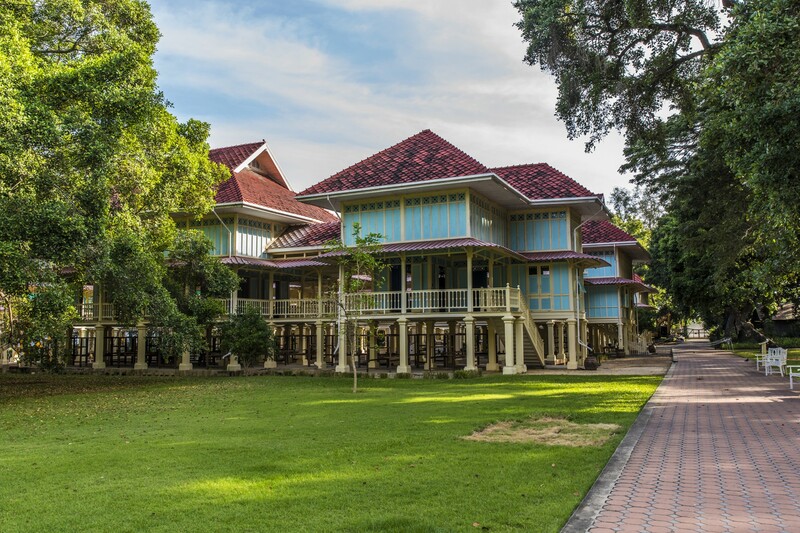 This elegant royal structure was built during the reign of King Rama VI in 1924 as a beachside home created especially for relaxation. Its beauty is inimitable. Designed the Italian court architect, Ercole Manfredi, the lightness and elegance of its 18 interlinked teakwood buildings on traditional stilts is punctuated by rows of tall windows. Painted in summery white and yellows, it is a visual delight in fact as it rests ensconced in a garden, surrounded by tall shady trees. 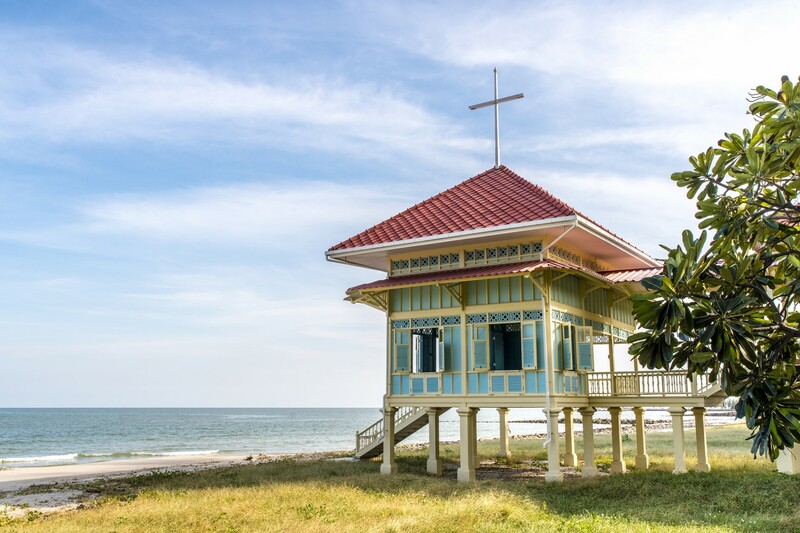 There are also three gorgeous wooden beach pavilions at Marukataiyawan Palace in Hua Hin, offering the wonderful views the area is known for, views that restore the soul, and which can also be enjoyed from the palace itself. The atmosphere is one of coolness, bliss and relaxation. 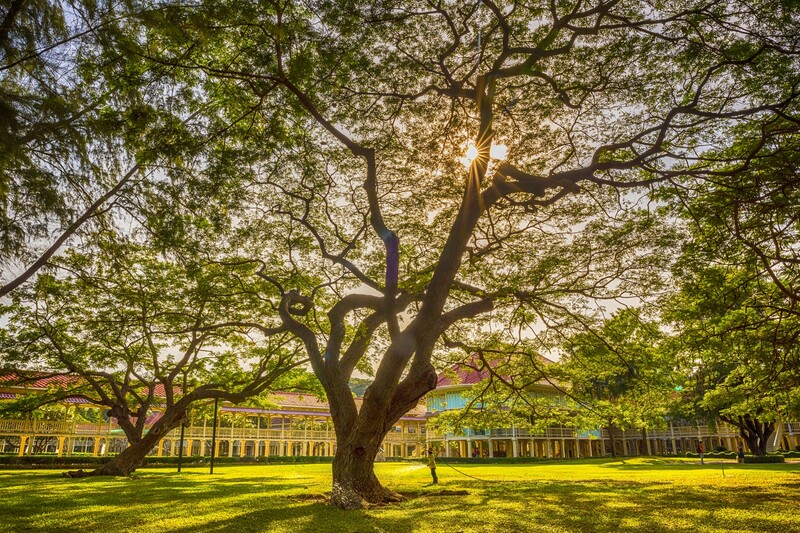 It is easy to see that this is exactly what the Marukataiyawan Palace in Hua Hin was designed and built for. If just standing outside submerges you in such pleasant feelings, it does not take much to imagine how lovely life would be inside of it. Take the tour and find out!